Alfex CNC Australia introduces a new range of laser engraving and cutting systems from Epilog Lasers designed to deliver one of the highest engraving and cutting speeds currently available on the market. 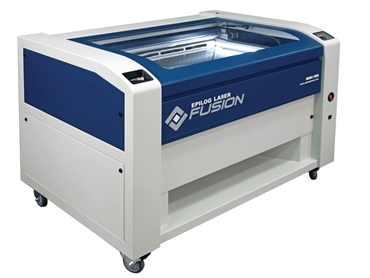 Epilog’s new Fusion Series represents an advanced concept in laser system design, suitable for cutting and marking almost any material. Epilog is the leading producer of CO2 and fibre laser engraving, cutting and marking systems in Australia, with all laser systems 100% designed, engineered and built in the USA. Alfex CNC is the exclusive sales, service and support agent for Epilog Laser in Australia. Epilog’s latest Fusion Series includes the Fusion 32 and Fusion 40, featuring work areas up to 1016mm x 711mm, which set a new standard in motion control design and job management software, while offering larger viewing doors with LED lighting and high-quality flame-polished edge cuts. The FiberMark laser systems have the ability to communicate with the laser wirelessly or through Ethernet and USB, and can etch almost any metal and mark numerous engineered plastics. The combination of flying-optic design and high quality engraving results also works to provide a one-of-a-kind solution for metal marking and engraving.